GoPens.com | Handwritten Post: Vintage Pen Brands – Flexed! I thought this post would be fun to show some flex while listing a few of the pen brands. 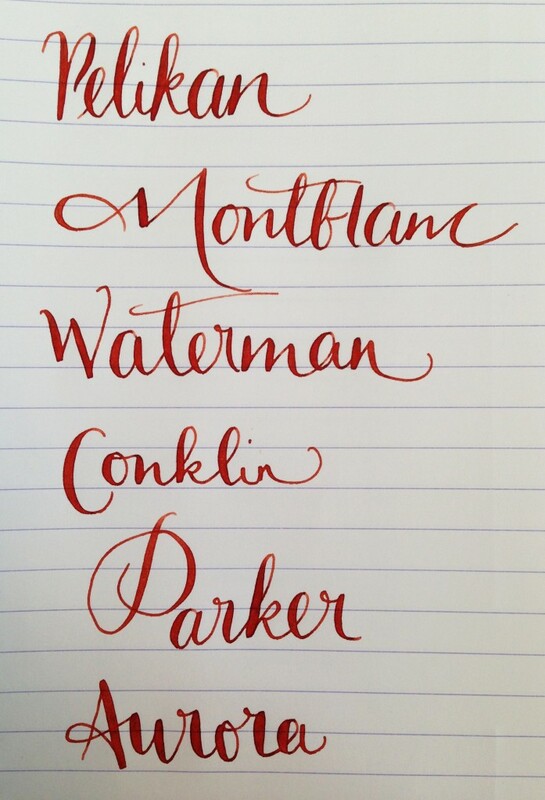 My favorite happens to be Waterman, because my first vintage pen was a red ripple Waterman 52V with a F-BBB wet noodle flex nib. I’m still crazy about it. I later added a few Mabie Todds (Swan, Swallow, Blackbird), a Wahl-Eversharp (Skyline, Doric), Pelikan (400NN x 2), Montblanc (220, 22, 344), and in the Waterman range: 52V, 12, 52 and 1/2, several 94s,a 42, and some others. You get the picture. I’m a fan of vintage pens. 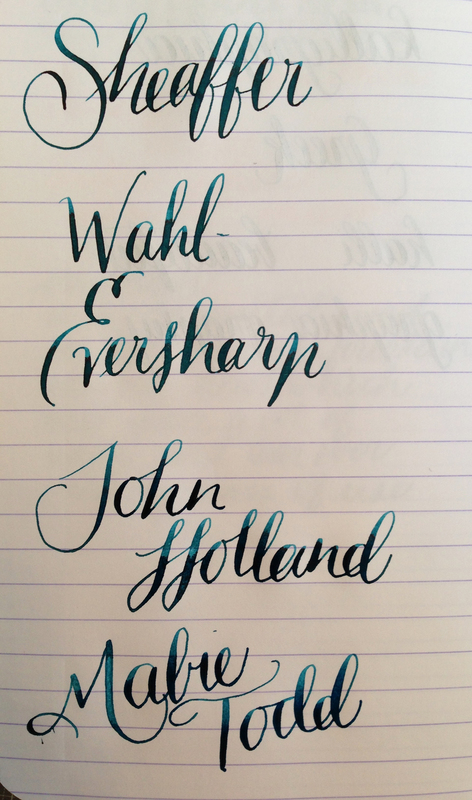 The nibs are so much fun. This entry was posted in Vintage Pens and tagged Conklin, Fountain Pens, Handwritten, Mabie Todd & Co., Montblanc, Parker, Pelikan, Waterman. Bookmark the permalink. Follow any comments here with the RSS feed for this post. Post a comment or leave a trackback: Trackback URL.